When you search online for Lawn Mowing Garden Suburb you may come across a lot of people pretending to be a true professional business offering you lawn mowing and gardening services in your local Garden Suburb area. The reality is that a lot of them are not trained or insured to look after you like Fox Mowing and gardening services in Garden Suburb. We pride ourselves in providing you a superior service at an affordable price. 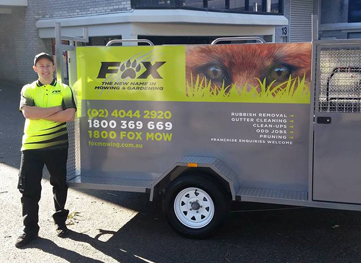 Fox Mowing and Gardening Garden Suburb has arrived to make this a reality for you whether you are requiring a grass cutting job or a garden maintenance clean-up in your area or any other town or suburb that you may have a residential or business property in need of regular quality TLC. All you need to do is contact us on the above number on this website or leave us your details on the attached quote form and one of our friendly team members will contact your local Garden Suburb Lawn Mowing or Gardening specialist to come and visit you ASAP. Most of our team that operate in the area have either grown up in Garden Suburb or have been working close by for a long time. This gives them great insight into the weather patterns and to be able to assist you with better knowledge and experience.